A Butterfly Appliqué will be perfect addition to your project. A finished appliqué is quite big and measures approximately 6.5″ x 4.5″ (17cm x 12cm). You can use it as an addition to your project for baby eg. a blanket, baby jacket or baby mobile. It will be also a nice appliqué for a home decor e.g. for a curtain, bedspread or table cloth. 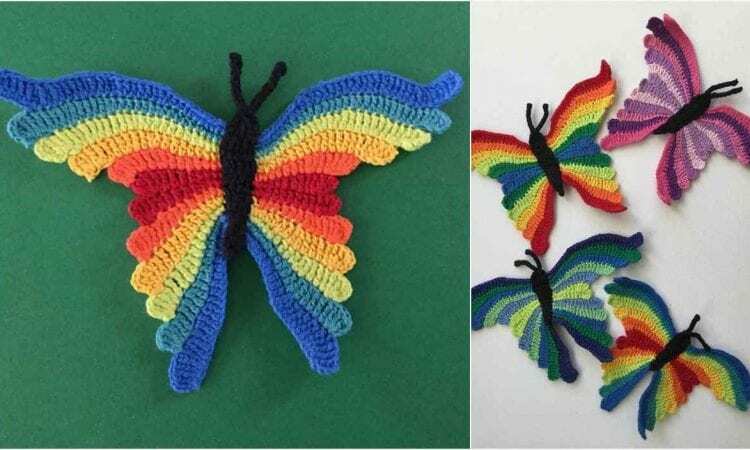 A link to the free pattern is at the end of the post, but you can also follow a video tutorial for Butterfly Appliqué.